Congratulations to Mary Tomlin who won the Angora rabbit wool product competition at the London Show this year. 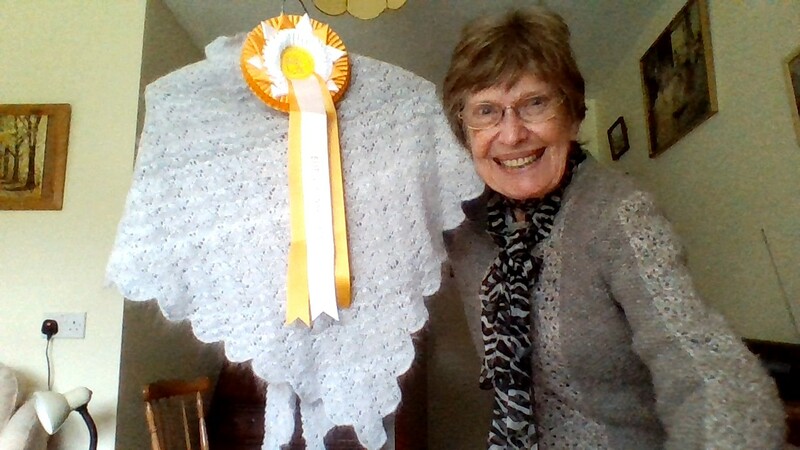 Her shawl made from angora rabbit wool was superb and hopefully it will encourage potential spinners, knitters and felters to enter future shows with their angora rabbit wool products. Mary has been spinning and knitting angora wool for many years, she no longer keeps the rabbits, but is kept supplied in wool from the Nation Angora Club members. Mary has always supported the National Angora Club with donations and product entries. Posted 22/10/2017 by SM & filed under Rabbit Shows, Wool Products.